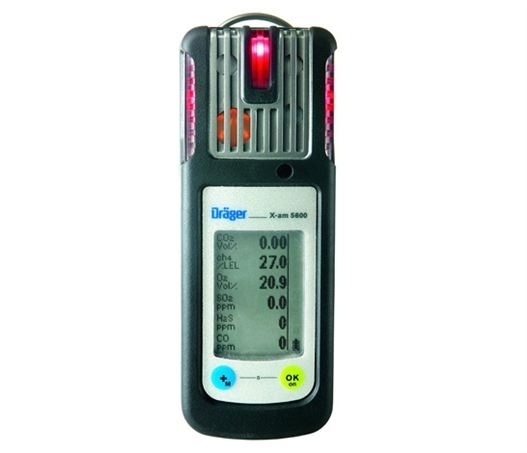 The new Dräger X-am 5600 is a small lightweight 1-6 Gas Detection Instrument, which is specially designed for the requirements for personal monitoring. It can be equipped with one infrared sensor and up to three electro-chemical sensors. 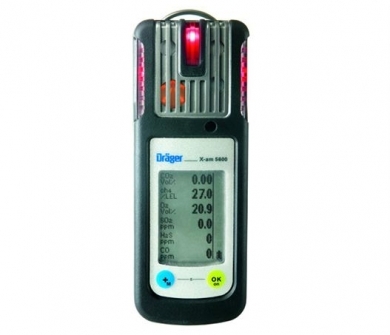 In combination with the electrochemical double sensor CO/H2S a simultaneous measurement of Up to 6 gases is possible. This guarantees a reliable monitoring of the ambient air to explosive gases and vapours as well as O2 and other toxic gases.